1- can you tell us about your hometown and growing up? I am FETHI SASSI a Tunisian poet . my hometown is Nabul , it is a touristic town situated in the front of the sea ; not so far from the capital of Tunisia . 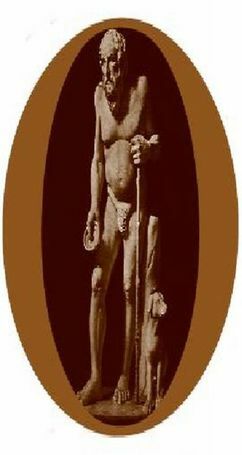 Specialized in the traditional items and poetry handmade . But from the beginning of my life I was living my first days in sousa in the first of june 1962 as a twice in the Arabic town I was studying in the primary school. the novelist Nejib Mahfoudh and Ihssen Abelkoudous and the poet Nizar Kabani . and my growing up was the garden that perfumed the rest of my life . 2-when did you start to write and what inspires you? As I said from my childhood , I began to write and to try to covert my learning to build my first poems to my beloved girl and for my passion and feelings of sadness that was living inside of me , with the questions non stopping of life ., and my deep love for life for happiness . I were in touch with my great dreams to draw with the childhood innocence a romantic beautiful world full of love and soft feelings . books; making me too much able for flying with the butterflies of dreaming . All this create the talent to be a writer , because the poet is totally different than ordinary people . 3-when did you publish your first book and how did the success follow later? finally my first poem fruits . But the first book make me feel more able to go more far to publish my second that puts me in the way of the real dream in 2013 ( I dream I sign on birds my last words ) This book was written in entire prose poetry . Every book in my life writing presents a different step in my work , totally different from the other ones . 4- Poems Have Been Translated Into National And International Languages ? I write in Arabic and in the same time I keep on translating all my poems to English. Only to give the chance to other readers in other countries to read me in English and to translate my poems to other languages. Due to the big number of people that read English Sooner I will get two books published in French in a very known French publish house and Persian and too much other languages . I must precise that my translated coming book English of short poems in Canada . And my translated book from English to Arabic of the great Greek poet and fellow Poet Manolis and too much other future work . 5- A member in the Tunisian literature Writers? In Tunisia all the writers that has written two books get the chance to be a member of the union of writers . This association in every city makes an electoral for some members that works to make meeting with other poets or festivals of poetry. I’ve the chance from many time to get a post to work with them in the same purpose . 6- A writer of prose poetry and short poems? Yes indeed , I’m a writer of prose poetry and short poems too . From a long period I ‘ve tried always to write the short poems and to write a big number of books in the same kind of poetry. With time I ‘ve been more specialized in this kind of writing. Make me able to reach the HAIKU Japanese poetry, that recently a big magazine in Japan has published to me some of those kind of poetry . This publication makes me feel more strong to appreciate this poetry because it is really very difficult to be accepted in such kind of magazine. I m feeling more able to write the prose poetry , this kind improve my deep Imagination with the soft world of pictures and metaphors. That’s why the most of my books are in this kind of writing . I would like to go deeper in the modernist poem , the new look to the prose poetry in the 21 century by the great poets in America . 7- With the reader who is also a poet, especially a haiku poet, such effects can generate and offer fresh experiences? All poets need a big regeneration to improve her degrees of poeticism with the facts of reading or learning other poets and specially in the same kind of their writing, make change the experience of each other, make the poet dealing with a new dictionary in his writing and make a big knowledge of the kind of writing indeed . The poet who does not improve his kind of writing never been accepted by the readers that become with this technology very intelligent to know the difference between the best and the bad . But the thing that is more important is the change of flying as a little butterfly never been satisfied with its own kind of honey , but it makes round so far to keep for this a new taste and a new look , never seen before . 8- What can you tell us about your work , prizes , journeys and friendships? proofreader . It is my group of writing. Never work in my life under the purpose of getting prizes. The writer has always the taste of writing with no direction ; it is the way of the fugitive moment without borders, with a great spontaneity never been expected , it is because the moment of presence of the hole idea. I work really without expecting nothing. Only for poetry no more and no less . of the poet the unusual things in his life . 9- Do you think you have outwitted the expectations? things to do ; and a big hope to continue till the last day. 10- Is there anything that you could pinpoint and tell us about yourself between the dream and reality ? The life generally of the writers is without borders , really no limit . it is my life too. With poetry . I would explain that the poet is no more than a dream creator . Living in the best moments of the creation . the part that attached directly to the poet to receive the dream message , and try to join it to the others . He does no more than a prophet of the magic words . A simple man messenger of the poetic consideration . but I feel when I keep writing my poems that is travel ticket to an important journey ; to take all the dreamers to the new world , great in love and efficient in dream . 11-. What are your plans for the future creative work? believe in my work and throw my poems to all the world . 12- Have you achieved everything you have ever wanted to and if you could live your life again would you be an artist again? I think I have never achieve everything I have ever wanted . that’s why I work without Stopping. in my life I find only work can make me sure that I have to live more . to write finally what I have to realize ; to make this world full of my breaths , full of my pains on whiteness - surely there is much readers those can understand how I was living with poetry and words . But if I could live my life again surely I will be a poet ; an artist loving words and peace for this humanity . 15- Is there anything you would like to say that you think is important and that I haven’t asked you? Warmly for all lovers of my poetry . 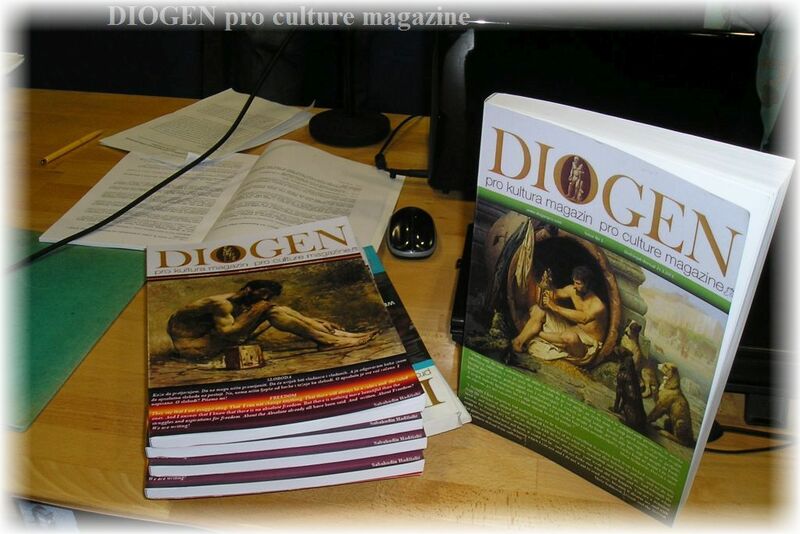 It was a great pleasure talking to you and you are always welcome to our house "Diogen pro culture" magazine. 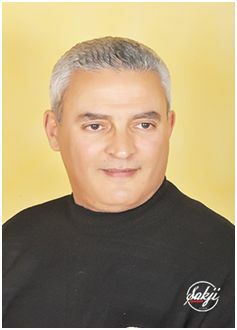 Fethi Sassi, was born in 1962, at nabeul , Tunisia . He has graduated from primary school Elementary School in 1974 , and secondary school till 1983 . but without univercity studies and contuning personal studies in economic and comptability ; with great interest and success to languages as frensh and english ; deutsh too in various schools . Although he has been writing since elementary school, since 1973 his first poems . But his professional poems, stories, articles about poetry have began in 2008 in the culture House of sousse . published in 2013 was one of the pricipal membrs of club creative Cultural and Literature , and a member of the union of tunisian writers . also in the direction community of the festival of the short poems . 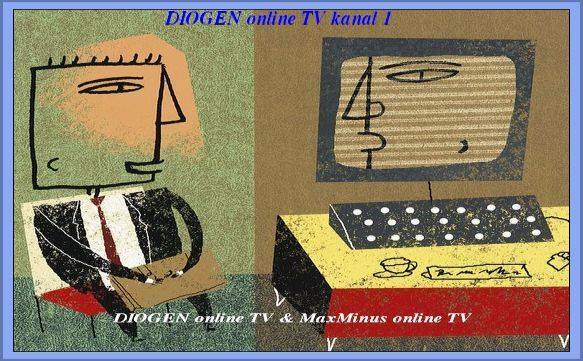 Published in too much tunisian newspapers and magazines and in others countries too . He published his second book in the same editors ( cultural editions ) in monastir with the name of in 2013 ( I dream .... and I sign with birds my last words ) . Some of his poems were in collection of important antology . İn 2016 he deciced to publish his third arabic poetry book in egypt in the house arwika . This book is tittled ( a sky for a strange bird ) . I dream .....sign with birds my last birds ( cultural editions ) febrary 2013 . A sky for a strange bird ( publication arwika ) april 2016 . Periodical of self-made poets . Club creative literary of sousse . Administrator in the festival of short poems . Adminastrator in the festival of autodidactes . Festival of the self-made poets since 2008 . Festival of the short poems since 2012 . Meeting of the experimental literary 2016 . Saloon of zaouraa 2013 . Saloon cultural 2014 and 2015 .